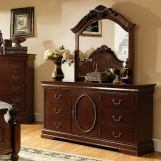 The romantic simplicity of this English style Velda II bedroom group will add elegance and comfort to your home. 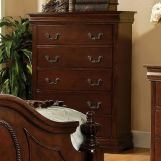 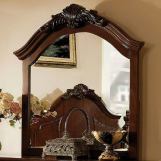 Crafted of solid woods and veneer with a warm cherry finish. 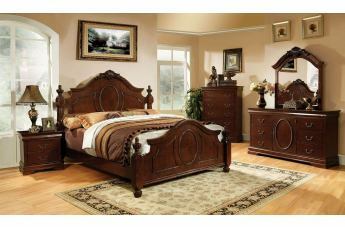 The gentle curves of the headboard and footboard add style and grace to your room. 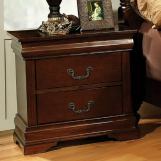 Felt-lined top drawers in all the case goods are a bonus!